Simple outsourcing involves just technical repairs or initial installations. 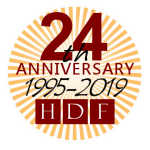 HDF takes the position to offer Managed Services designed to enhance your equipment’s performance instead of simply fixing it. Managed Services offer innovative and essential functionality and products for each level of your business. Working with or as your IT department, we focus on putting you back in control of your technology. 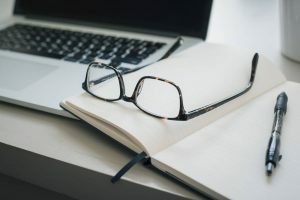 From general consulting to a dedicated IT department, your personalized solution will be designed around your budget and your needs. 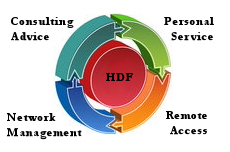 HDF Managed Services give you the benefits of a dedicated internal IT department without the overhead costs and management hassles. We are available for immediate help and continuously monitor, maintain and support your systems to prevent problems. This ensures that your operation remains efficient and productive, and lets you focus on your business.